Published: Sept. 16, 2018 at 04:00 p.m.
Tennessee Titans placekicker Ryan Succop nails a 31-yard field goal to win the game. 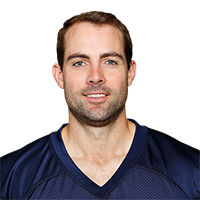 Published: Dec. 17, 2017 at 07:40 p.m.
Tennessee Titans kicker Ryan Succop drills 50-yard field goal to give Titans lead. Published: Oct. 22, 2017 at 05:10 p.m.
Tennessee Titans placekicker Ryan Succop nails it right down the middle for game-winning field goal in overtime. Published: Dec. 18, 2016 at 04:11 p.m.
Tennessee Titans kicker Ryan Succop nails a 53-yard game winning field goal to give the Titans the win over the Kansas City Chiefs.